A single point away from losing a Madison Square Garden grudge match on Apr. 5, 1968, the female half of tennis’ best ever sister-brother team mounted one of the greatest comebacks in the history of the sport. The story of Nancy and Cliff Richey starts with their father George. Growing up in San Angelo during the Depression, his own dad groomed him for the boxing ring until his mother put her foot down. The athletic boy next showed promise on the baseball diamond before hurting his pitching arm. Searching for a sport in which he could excel, George picked tennis, easily the least popular pastime in 1930’s West Texas. He practiced from daylight to dark on the only private court in town, which happened to be in a neighbor’s backyard, and taught himself to play with his healthy left arm. By the time he finished high school, George was good enough to earn a tennis scholarship to the University of Texas. While in Austin, he married his wife Betty, who gave birth to daughter Nancy Ann in 1942 and son George Clifford, Jr. four years later. After college, George coached at Rice, held down a job as the resident professional at a Houston country club and played well enough in his spare time to reach a career-high national ranking of eighth in 1952. Not long after that, the family settled in George’s dusty hometown, where he concentrated on molding his children into tennis prodigies. Yet, in spite of popular opinion to the contrary, he always pleaded innocent to the charge of being the tennis version of an overzealous Little League father. Cliff followed his sister’s precocious example and began playing at an even earlier age — four. They shared a love of tennis and an all-consuming desire to succeed, but the siblings were as different as night and day. During a match, Nancy was a finely tuned machine in complete control of her emotions, while off the court she was shy and reserved. Cliff, on the other hand, was volatile and fiercely competitive. “A scrappy Texan with more tenacity than talent,” was how one tennis authority described him. When Cliff captured the National Fifteen-and-Under Indoor championship in 1961, 19-year-old Nancy was already making a name for herself in the women’s ranks. In two years, she would win the first of six consecutive U.S. clay court titles, a record that stands to this day, and break into the international Top Ten where she stayed for a decade. Nancy steadily improved with age. In 1966 she advanced to the finals of the U.S., French and Australian opens and took home the Wimbledon doubles cup. She prevailed Down Under in 1967 and added the French trophy to her collection the next year. Nancy played her most memorable match in March 1968. It was in the semi-finals of a minor tournament in New York, but the opponent was her biggest rival Billie Jean King. The two top-ranked American women had not faced each other in three and a half years. Some said it was because Nancy preferred slow courts like clay, while Billie Jean favored hard and fast surfaces. Others insisted King had avoided Richey like the plague after losing six out of seven encounters to her. Nancy got off to a slow start and dropped the first set. Falling behind 1-5 in the second, she rallied to win the next two games. But it all seemed for naught as Billie Jean took charge and set her up for the kill. Brother Cliff’s best year was 1970. He took first or second place in 13 of 27 tournaments winning 92 of 102 matches. But he had to beat Stan Smith in a September showdown to finish as the Number One American male. The five-set marathon came down to a sudden-death tie-breaker. On the last winner-take-all point, Smith slammed a speed-of-light return down the line. Cliff’s only chance was to dive, stretch out in midair and somehow make contact with his racket. He did exactly that, and the ball dropped over the net out of Smith’s reach. The greatest sister-brother duo tennis fans have ever seen entered the Texas Tennis Hall of Fame together, and their father joined them seven years later. In 2003 Nancy Richey received the ultimate honor with her induction into the national Tennis Hall of Fame in Rhode Island. 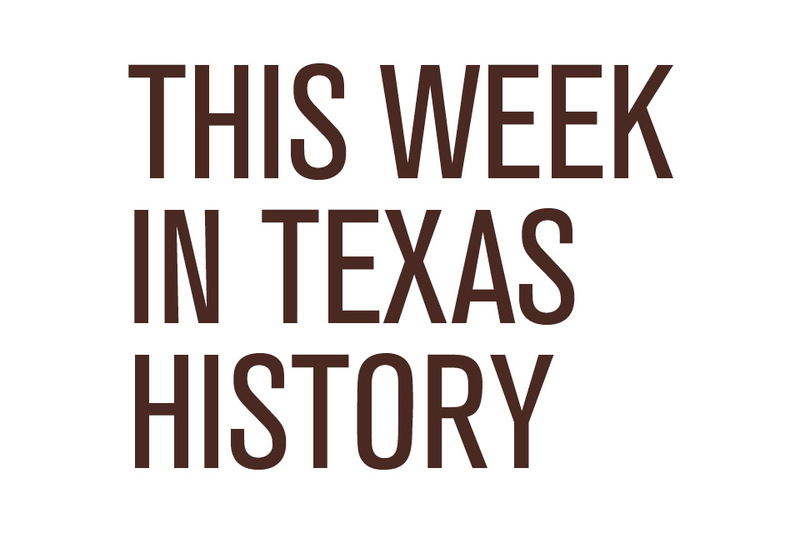 Bartee speaks at the Dallas Historical Society’s “Brown Bag” luncheon at noon Tue., Apr. 10 in the Hall of State on the Texas State Fair grounds. Not sure how you "unpacked" much of that from my comments. I don't have a problem with newcomers to the area. I don't have a problem with anyone with Hispanic heritage or any other heritage being placed in leadership positions. And I never said what you "quoted" me as saying. At least my problems with you, Laurie and the rest of that board were based on fact and policy disagreement and a very specific incident that affected my kids in a major way. You are attempting character assassination based on assumption and hearsay. So who's really being petty and immature? David, you managed to sum up my thoughts. Having "only" been here 33 years, we are still learning our way around the District. There is a lot to unpack in Mr. Shelton's comments. First, you should know that if you are not "from here", your opinions and views are completely discounted. If you are not from here, then you "don't understand Hays". To set the stage, please know that for years the HCISD was run by a small number of families who were virtually guaranteed lifetime employment with the district. Members of these families are still employed with the district to this day. These people decided who was running for school board, who the next superintendent would be, and other local vagaries that wouldn't be noticed by the average person. As long as athletics (i.e. football) had whatever they wanted and the high performing students had the resources they needed, everyone was happy with how the district was being managed, or so it seemed. As the HCISD began to grow in the late 1990's "outsiders" started moving in and asking questions about district management. They also began securing leadership positions in the community and school district. The first sign the "good ol' boys" were losing control was in 1998 when their handpicked successor to be superintendent was rejected by the "new" school board of outsiders. Until that point, the succession of the superintendency was a foregone conclusion. Instead, the district hired an "outside" Hispanic superintendent. The district also started building schools on the east side of I 35. Until that point, there were only three elementary schools and no secondary schools on the east side. That meant the secondary students in those attendance zones had to get up before their peers on the west side, ride buses across the interstate and railroad tracks, to arrive at school at the same time as other students. The 1999 board also got rid of the Confederate flag logo at Hays High School. Obviously, none of this went over well with the old guard. One of the leaders of the group of forward-thinkers was board member and President Laurie Cromwell (referenced by Mr. Shelton). I was proud to serve with Laurie as a fellow school board member because I saw the countless hours of service she gave to the school district in the face of opposition from the old guard. Please note that the issues noted by Mr. Shelton occurred over 20 years ago thus giving proof to the inability to "let it go." Also, I have been in public education my entire adult life and, until today, never knew there was such a thing as “least favorite school board member.” Most citizens can’t name a single school board member, much less a “least favorite” one. I do know that Mr. Shelton commented in the past during a public forum section of a school board meeting that “not a single teacher in Hays helped any of children.” If the district is that bad, why choose to live here? Perhaps it’s because he is a member of one of those families mentioned earlier? Regardless if you are from “here” or “there” I hope we can come to a basic agreement. There is no more thankless task than serving on a school board. It is easy to sit on the sidelines and take potshots without putting one’s name forward on a ballot. Board members are criticized non-stop, yet receive no compensation for their volunteer efforts. I have major concerns with two current school board members, but I respect their willingness to serve and try to make a difference. At the very least we should be able to agree that we should honor everyone’s commitment to service, even if we disagree with their decisions. To do less is petty and immature. I thought at least one board member had been on for 17 years. Wouldn't she have had oversight over this "miscalculation."